I’m always keen about encouraging the girls to read. Growing up, I remember how important it was that influential people in my life promoted reading to me and, as a result, I became the life-long reader that I am today! While I love reading books, I’ve always enjoyed magazines as well. One of the reasons, I believe, that magazines hold an interest for me is that my parents bought magazine subscriptions for us every Christmas. My favourites were Owl magazine National Geographic World magazine and I can’t wait to get the girls their own magazine subscriptions this year! 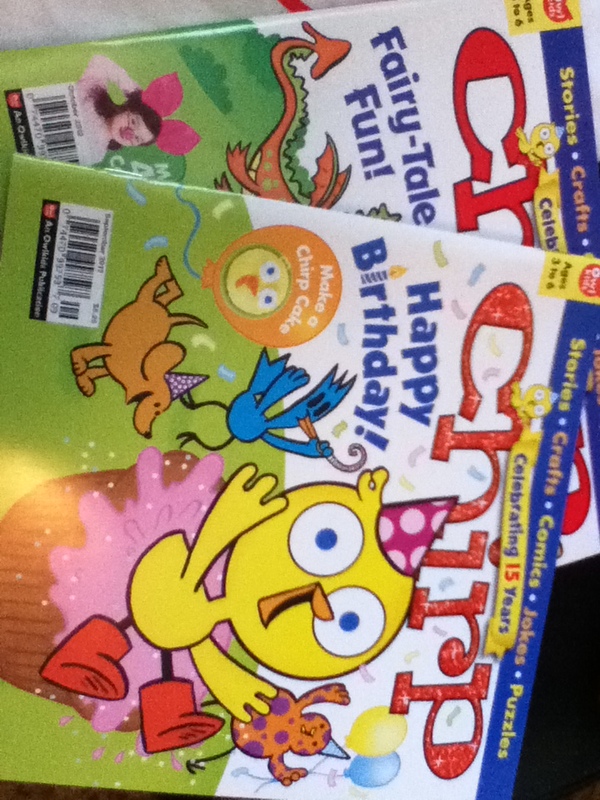 While Chirp magazine (I think of it as the younger sibling of Owl magazine) wasn’t around when I was growing up, I had bought it before and I think it is an amazing magazines for kids ages 3 to 6! 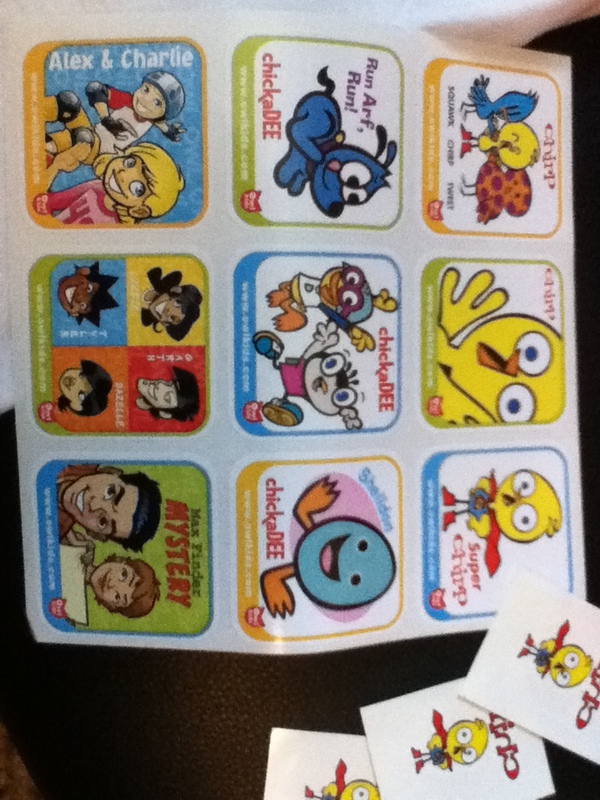 It is full of bright colours, entertaining graphics, engaging stories to read together and fun activities. I know that I must not be the only person who think that Chirp is the ideal first magazine for kids because Chirp recently celebrated their 15th anniversary! And, if that wasn’t cool enough, children between 2 and 6 years of age can enter the Chirp Birthday Contest by submitting a drawing of Chirp at a birthday party until October 31, 2012. One grand prize winner will receive a prize pack and loot bags for 15 friends. For more contest information, pick up the September issue of Chirp or visit owlkids.com (and you can download the entry to print it off here). Little One loves the magazine — she has been bringing it to me to read various parts of it and doing the activities which she proudly shares! She is excited that she is going to get more issues (and the concept of getting them in the mail seems to excite her just as much!). Because Miss Eight will soon be Miss Nine, she is still trying to decide whether she wants to get Chickadee (designed for ages 6 to 9) or Owl (for children ages 9-13). Whichever she chooses, I think she is going to enjoy it as much as I did when I was a kid! To celebrate the 15th anniversary of Chirp, you can win a great prize pack here! 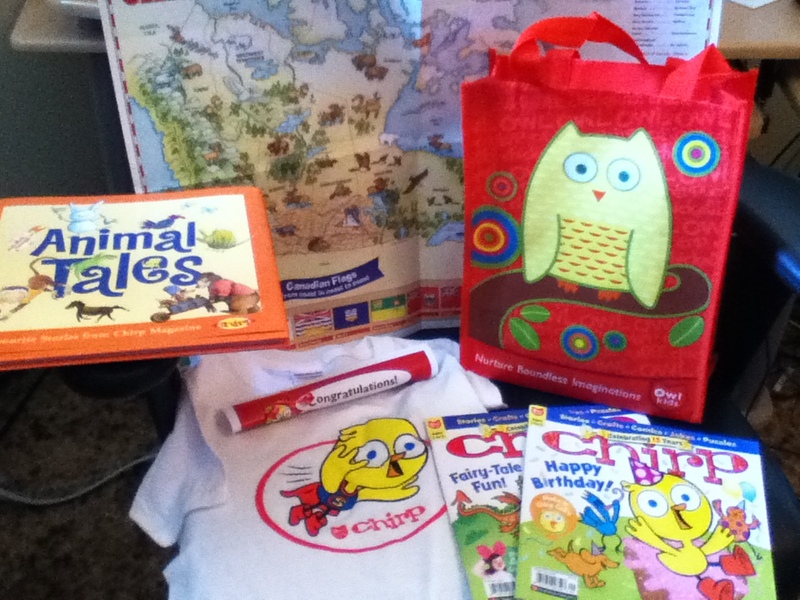 Giveaway: One reader from Canada (excluding Quebec) will win a Chirp prize pack like the one we received (including a 6 month subscription to your choice of Chirp, Chickadee or Owl magazines, a Chirp t shirt, a hardcover book and much more!) – a $50 value! To enter the giveaway, tell me which of the three magazines you would choose the subscription for if you won! (1 entry). This entry was posted in Books, Canada, Family fun, Giveaway, Review and tagged anniversary, Chirp, educational, entertainment, fun, kid, kids magazine, magazine, Owlkids. Bookmark the permalink.